Do you have a child with a reading or attention deficit problem (A.D.D.)? Dr. Stewart has tested over 20,000 children, and written a manual about visual stress and its management called, "Eyegiene--Manual for the Care and Maintenance of the Eyes." This is a real blessing for students, parents, computer users, or anyone concerned about the deterioration of the mind and eyes. Ask us about receiving a copy. Just read about one child's results. . . I would like to thank you for sending me the Eyegiene program. It has been a blessing for my son Zach. daily activities. I sent the manual to his teacher and tutor. just 4 months ago, they had recommended that he repeat second grade! in Florida, where three years ago, he failed kindergarten. I have my family complete. This has been a very painful experience. as you help other children have a better life. computer users, students, and other visually-threatened people, please send us an email using the Contact Us Form. 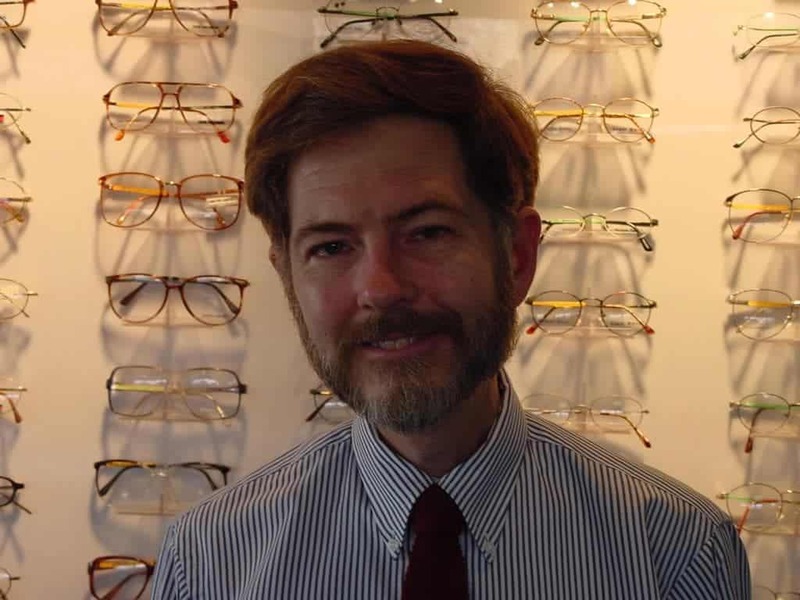 This optometrist does not wear a white coat--He feels it makes children uneasy. Whether child or adult, he personally reviews every question and answer along the way --- to be sure he knows you, what you do, and what you need. He takes time to carefully measure your prescription two different ways, and then checks how all his observations and measurements fit. If your prescription doesn’t make sense, Dr. Stewart will keep trying until it does. You won't find that kind of conscientious care at a chain store. Dr. Stewart will help you, and your loved ones. It's never too late to avoid vision loss! Do you have a child with a reading or attention deficit problem (A.D.D.)? Dr. Stewart has tested over 20,000 children, and written a manual about visual stress and its management called, "Eyegiene--Manual for the Care and Maintenance of the Eyes." This is a real blessing for students, parents, computer users, or anyone concerned about the deterioration of the mind and eyes. Ask us about receiving a copy. Just read about one child's results. .